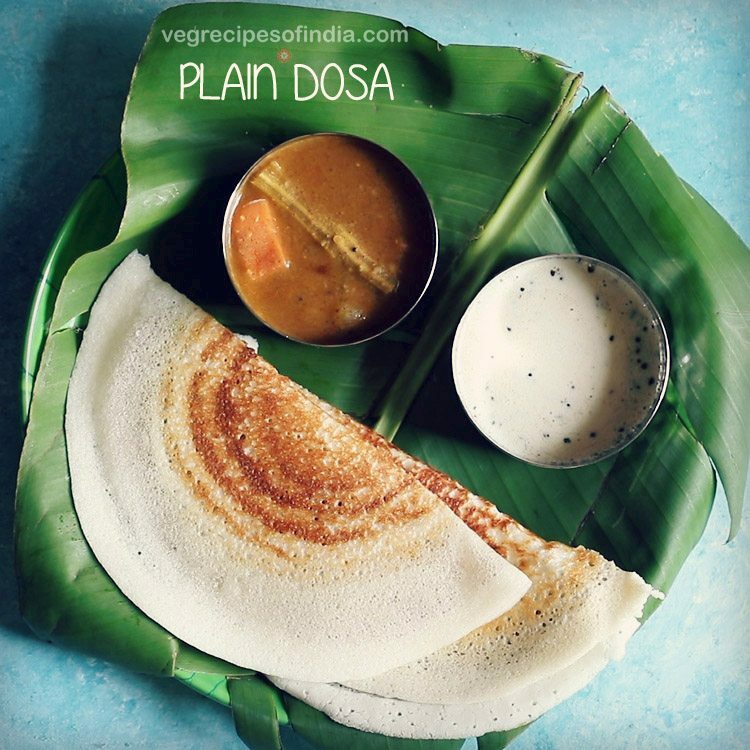 rava dosa is an easy crisp dosa made with semolina, rice flour and all purpose flour. rava dosa recipe with step by step photos and video. rava dosa is a popular south indian dosa variety. 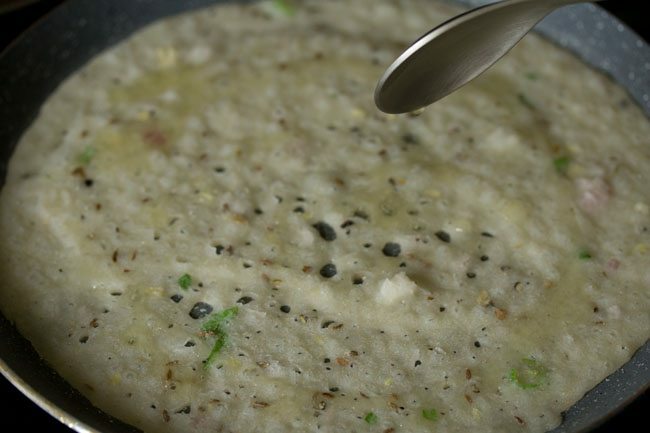 making rava dosa is very easy and the best part is that no grinding or fermentation is required. the recipe shared here gives crispy rava dosa. what is rava dosa made of? 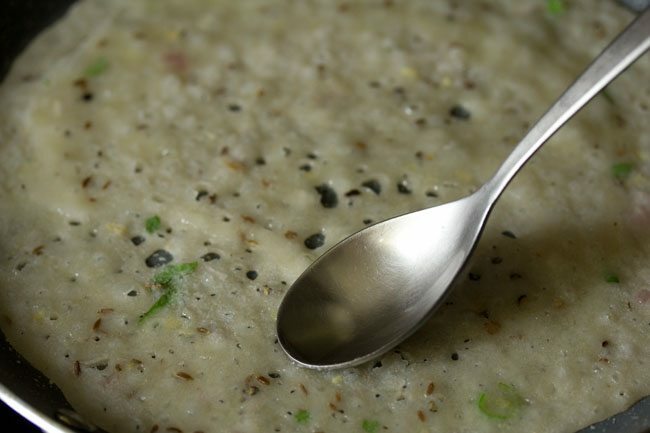 rava stands for sooji or semolina or cream of wheat. hence this dosa is named after one of its main ingredient. the type of rava used is the fine variety of rava also called as bombay rava. 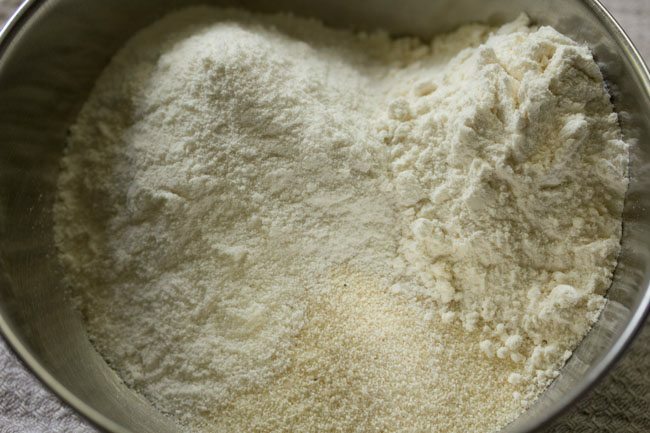 along with rava, rice flour and all purpose flour (maida) are also added to the batter. you can make the rava dosa plain or you can spice it up by adding chopped onions, curry leaves, herbs and spices. all the three terms sooji, rava, semolina and cream of wheat mean the same. in western and southern parts of india, the word ‘rava’ is used. in northern parts of india the word ‘sooji’ is used. thus rava dosa can also be called as sooji dosa. rava is coarsely or finely ground husked wheat. 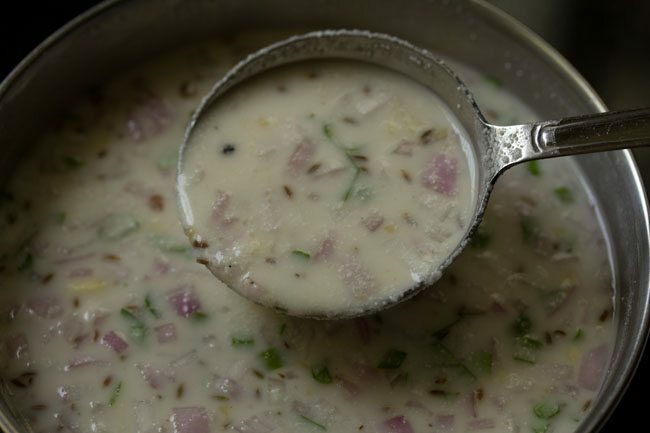 depending on the type of dish, the type of rava is used accordingly. 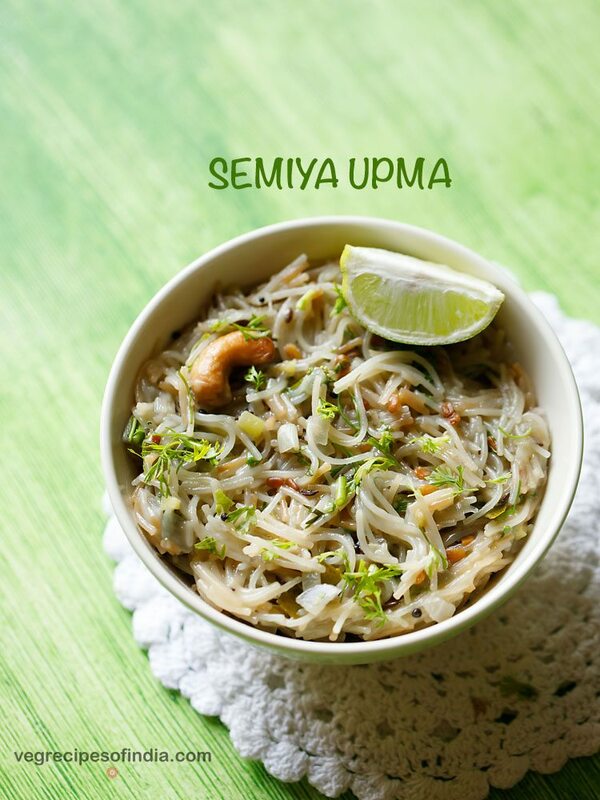 e.g fine rava is used in making rava dosa, rava idli, upma, sooji halwa, sheera etc. how is rava dosa made? a thin batter is made of sooji, rice flour, maida and water or buttermilk. 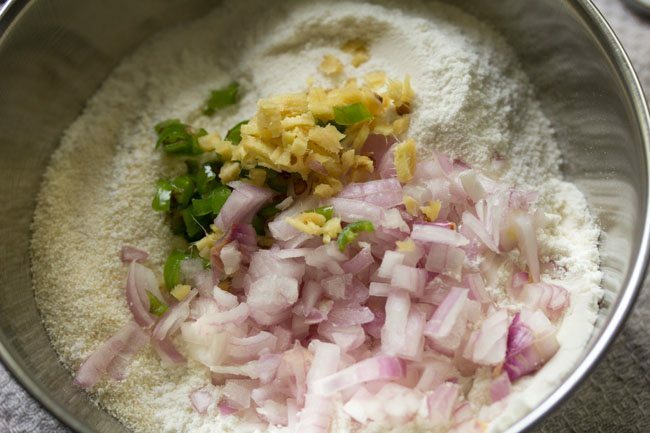 the batter is spiced with onions, green chilies and some more herbs & spices. 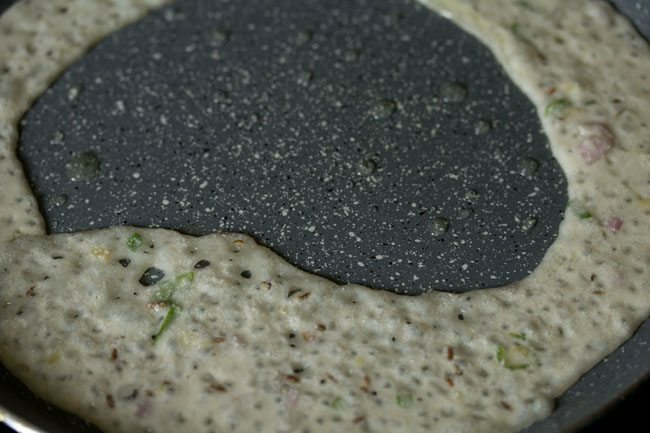 the batter is then poured on a hot tawa (griddle) to get netted effect on the dosa. the dosa is cooked till golden crisp and then served hot. 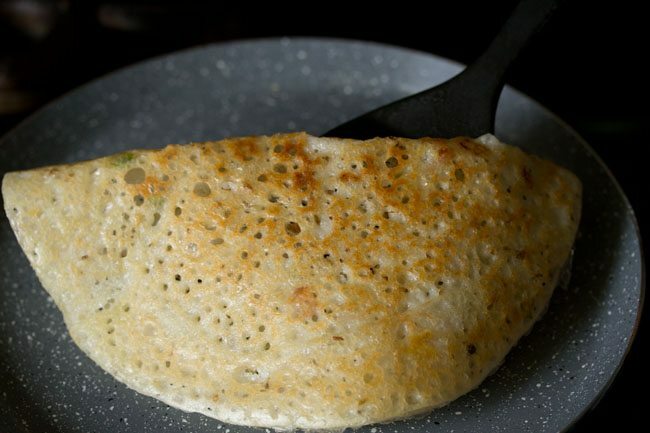 to make perfect crisp rava dosa which has a netted texture, the batter has to be thin. so always remember that the batter for rava dosa should be thin and easy to flow. also allow some soaking time for rava or suji, so that they soften. i usually mix everything and keep the batter for 30 minutes. 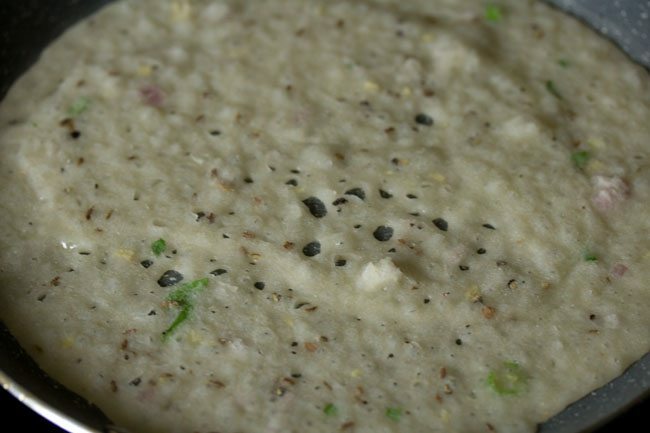 with the basic rava dosa recipe many variations can be made. increase or decrease any of the herbs and spices and make a variation. 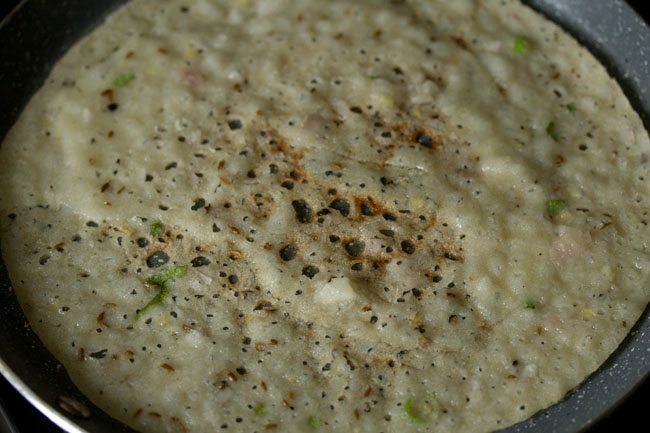 e.g you can make pepper rava dosa by increasing black pepper or onion rava dosa by increasing amount of onions. add ghee or butter and make ghee rava dosa or butter rava dosa. serve rava dosa with potato masala and you get rava masala dosa. why rava dosa sticks to the pan or tawa? when making rava dosa or any dosa for that matter, always use a seasoned pan. iron tawa or iron skillets are the best for making dosas. seasoning means that the pan is ready to be used or has been used earlier to make dosas. never use a pan or tawa in which you make rotis or chapatis as then the rava dosa will stick on the tawa. 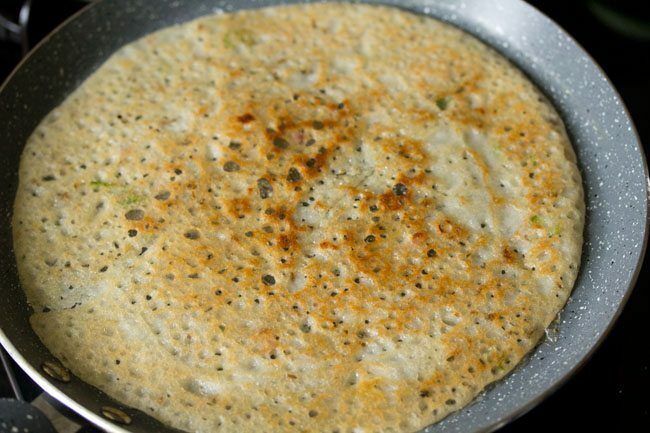 usually dosa does not stick on a non-stick pan if its heavy or thick bottomed. in case the rava dosa starts sticking on the non-stick pan, then make a few small dosa initially on it and later the dosa won’t stick. how to season iron tawa (iron griddle) so that rava dosa does not stick on it? if using an iron tawa or iron pan which is not seasoned or new pan, then heat the tawa. spread some oil all over it. keep the flame to a medium or high and let the tawa get hot for 1 to 2 minutes. lower the flame and then wipe this oil with a cotton napkin or a paper towel. spread another layer of oil and repeat the process. lower the flame and then again wipe this layer of oil. repeat this process once or twice. now spread oil again. 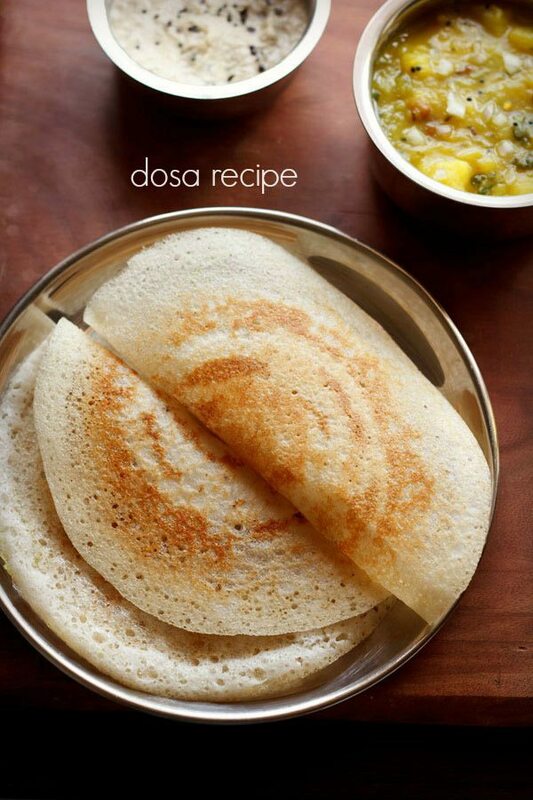 make a small dosa. see if it sticks or not. if it sticks then repeat the seasoning method for 1 or 2 times more. initially a few dosas, in the beginning, will stick, but later they won’t stick. after making all the dosas, when the iron tawa cools, then rinse tawa also and wipe it dry. you can then spread a layer of oil on it. next time before making dosas, heat and then remove the oil and then start making dosas. you can even season the iron pan a few days before you plan to make rava dosa. repeat the above process of spreading oil and removing it, 3 to 4 times. then lastly spread oil. switch off the flame. keep the pan with the oil on it for a few days. before making dosa, heat the pan. then with a cotton napkin or paper towel wipe the oil. spread oil again and heat it. then wipe the oil again and then start making dosa. before making rava dosa, always allow a soaking time of 20 to 30 minutes for the batter. the batter has to be thin and of a pouring consistency. even if the batter is of medium consistency, the rava dosa will be soft and not crisp. when pouring the batter, the tawa has to be hot. when you pour the batter, it will sizzle when it comes in contact with the hot tawa. so keep the flame to medium or medium-high. the batter also has to be poured from a slightly more height than what is the norm. this will give you the netted effect on the rava dosa. when pouring the batter, pour from the edges first and then move towards the center. when you make the first dosa then you will come to know whether you are getting the crisp and netted effect or not. if not then you will need to add some more water. instead of water, you can also add buttermilk to the batter. rava dosa takes more time to cook than the regular dosa. when cooking rava dosa, you can reduce the flame if the tawa becomes too hot. 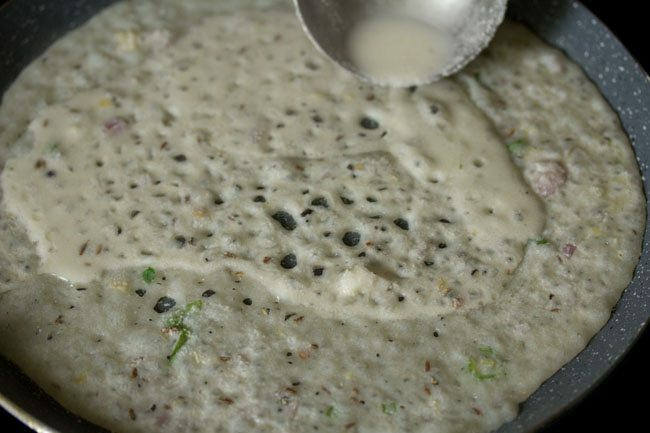 every time before pouring the batter on tawa, you have to mix it very well as the flours and rava settle down at the bottom of the batter. after making some rava dosa, if the batter looks slightly thick, then you can add some more water. 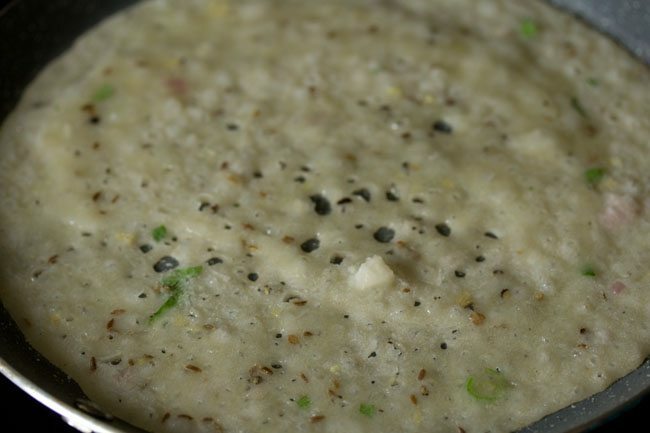 always use a heavy or a thick bottomed tawa or pan, so that the rava dosa does not stick to the pan. one of the quick breakfast i make on occasions is rava dosa. at home we prefer the rava dosa which has onions and some spices in them. so here i usually add onions, ginger, green chili and some spices to the batter. at times i even add some chopped cashews. addition of these ingredients, makes the dosa more healthy and tasty. here i am sharing my mom’s recipe of instant rava dosa which is made without curd or buttermilk. water is used to make the batter. you can even use curd or buttermilk instead of water to make the batter. this rava dosa recipe can also be halved or doubled or tripled. i have made a video embedded in the recipe card below. this is my first video. an amateur silent attempt on making recipe videos. hopefully i will improve with time and i also hope that this video helps you to make rava dosa easily at home. instant rava dosa can be served with potato sabzi, sambar and coconut chutney. 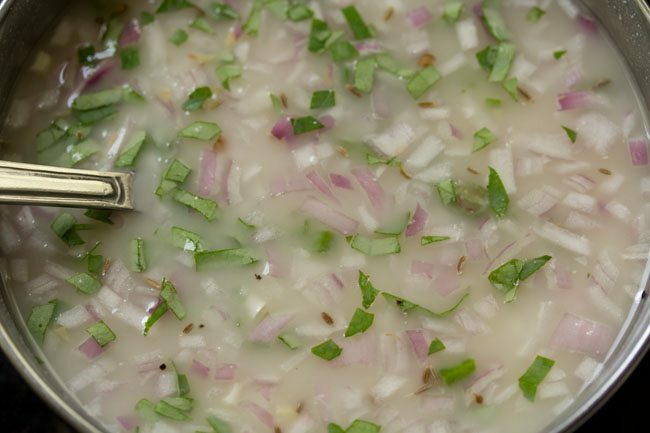 then add ⅓ cup chopped onions, 1 or 2 green chilies (chopped), and ½ inch ginger (chopped). also add ½ tsp crushed black pepper, ½ tsp cumin seeds/jeera, 8 to 10 curry leaves (chopped) and salt as required. add 2 to 2.5 cups water. depending on the quality of rava or sooji and rice flour, you can add less or more water - from 1.5 to 2.5 cups water. i added 2.25 cups water. cover and let the dosa batter rest for 20 to 30 minutes. once the batter rests, you will see that the rava and the flours have settled down and the water will be floating on top. before preparing dosas, mix the batter very well. spread some oil on the tawa. do make sure that the tawa is hot. with a ladle pour the rava dosa batter. start from the edges move towards the center. on a medium-low to medium flame, cook the dosa. when the top side looks cooked, then sprinkle ½ to 1 tsp oil on the top and sides. spread oil all over the rava dosa with a spoon. rava dosa takes a little longer time to cook than regular dosa. 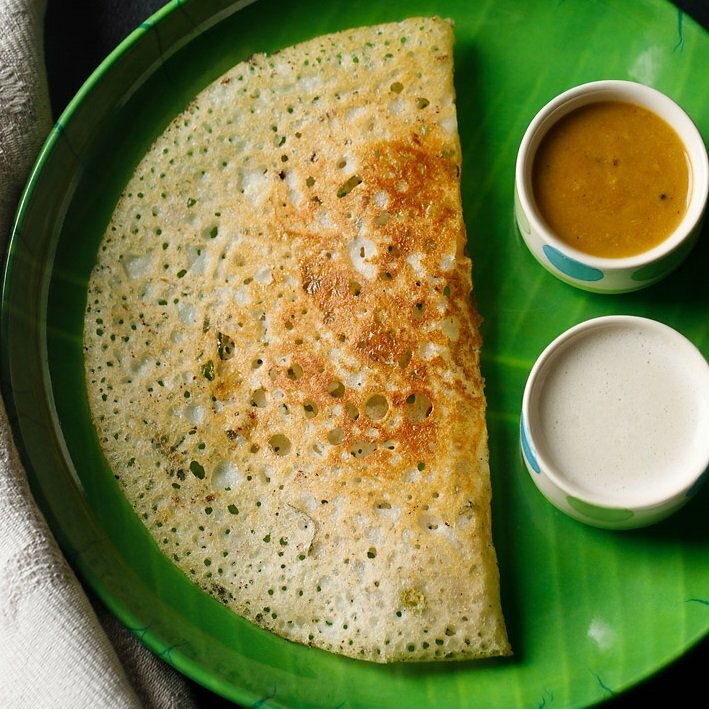 fold and then serve rava dosa hot with coconut chutney and sambar. the flours settles down at the bottom of the batter. so you have to stir and mix the batter very well every time you make dosa. in case the batter becomes thick after making a few dosas, then add some water and stir again. 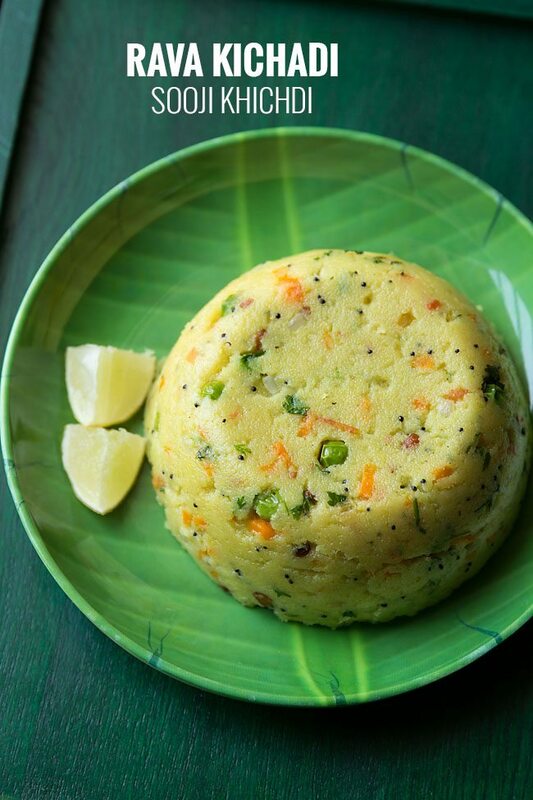 serve rava dosa with coconut chutney or dosa podi or any chutney of your choice. 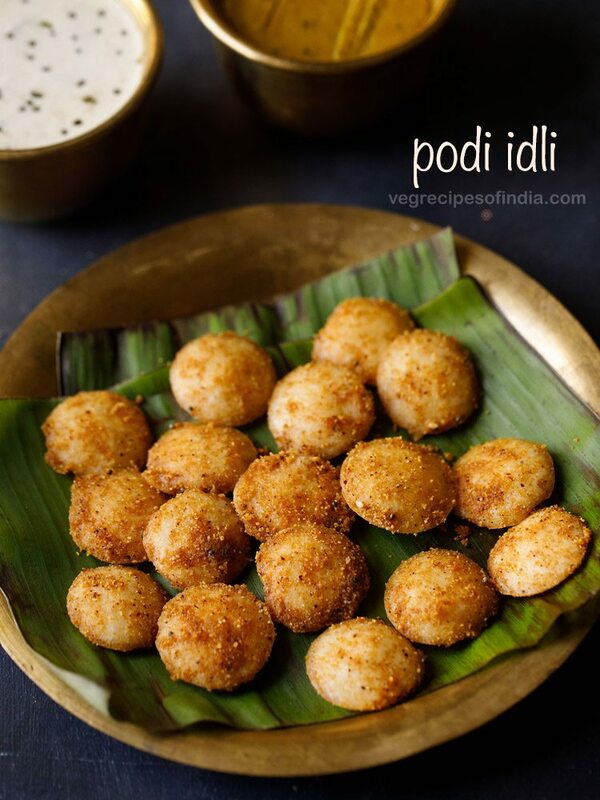 1. take ½ cup unroasted fine rava, ½ cup rice flour and ¼ cup maida in a bowl. 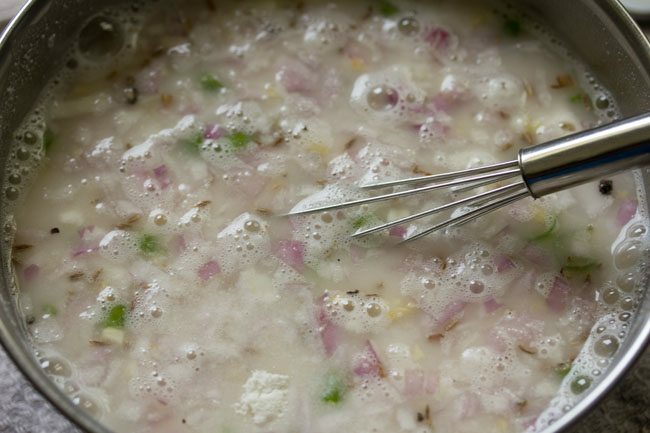 2. then add ⅓ cup chopped onions, 1 or 2 green chilies (chopped), and ½ inch ginger (chopped). 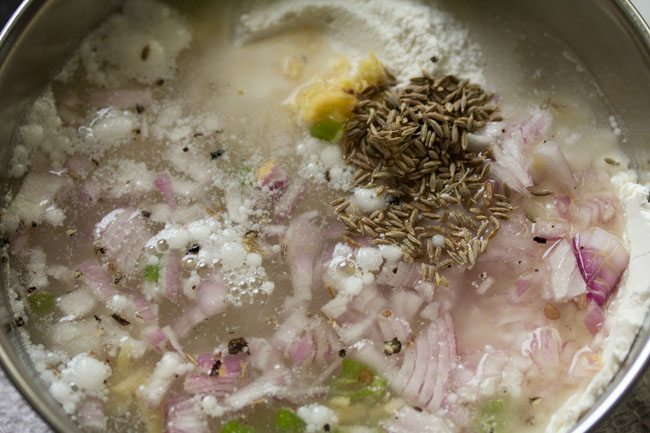 3. also add ½ tsp crushed black pepper, ½ tsp cumin seeds/jeera, 8 to 10 curry leaves (chopped) and salt as required. you can also add 1 to 2 tablespoons of chopped cashews. 4. add 2 to 2.5 cups water. depending on the quality of rava or sooji and rice flour, you can add less or more water – from 1.5 to 2.5 cups water. i added 2.25 cups water. you can also use buttermilk instead of water. 6. cover and let the batter rest for 20 to 30 minutes. once the batter rests, you will see that the rava and the flours have settled down and the water will be floating on top. 7. before preparing dosa, mix the batter very well. 8. spread some oil on the tawa. do make sure that the tawa is hot. keep the flame to medium or medium-high before pouring the rava dosa batter. 9. with a ladle pour the dosa batter. start from the edges move towards the center. 11. on a medium-low to medium flame, cook the dosa. if the tawa or pan becomes too hot, then you can reduce the flame. 12. when the top side looks cooked, then sprinkle ½ to 1 tsp oil on the top and sides. 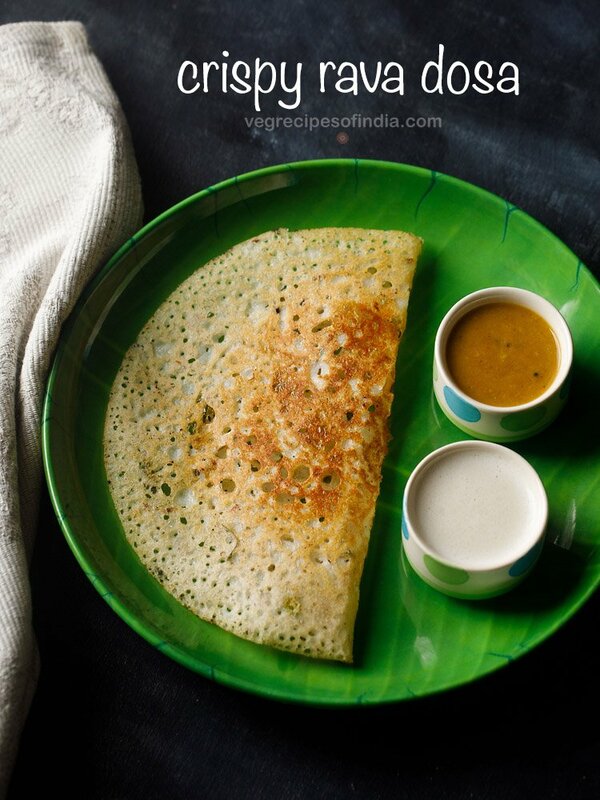 13. spread oil all over the rava dosa with a spoon. 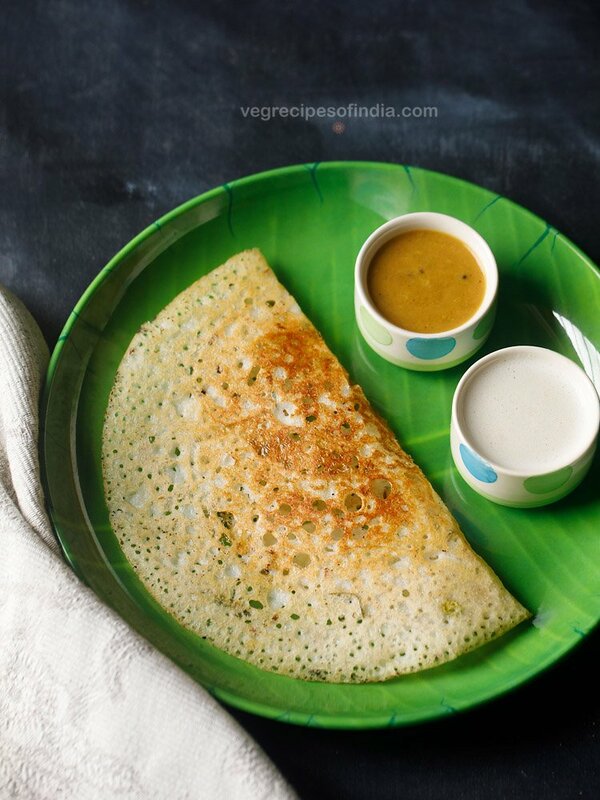 14. instant rava dosa takes a little longer time to cook than the regular dosa. 15. cook till the base is golden and crisp. 16. the more you cook the dosas and the more golden it becomes, the more crisp it will be. you can even cook both the sides if you want. 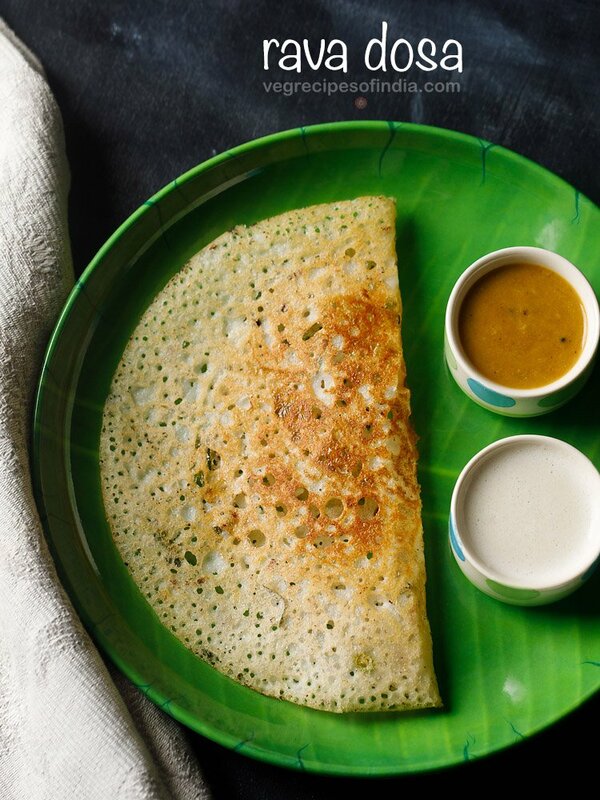 17. fold and then serve rava dosa hot with coconut chutney and sambar. the flours settle down at the bottom of the batter. so you have to stir and mix the batter very well every time you make dosa. in case the batter becomes thick after making a few dosa, then add some water and stir again. make all rava dosa this way. 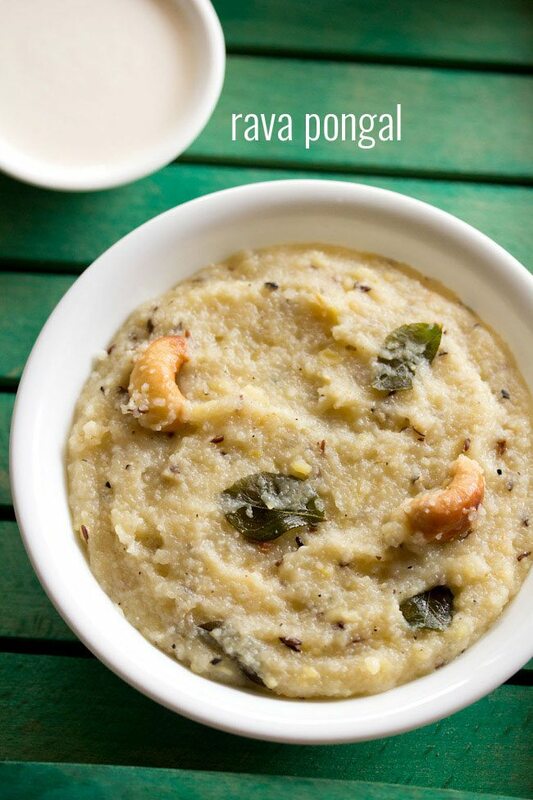 18. serve rava dosa with sambar, coconut chutney or dosa podi or any chutney of your choice. welcome amrutha and thank you. I have tried few recipes.They turned out to be great.Thank you for the detailed and pictorial explanations. Can we use roasted semolina in this recipe? Keep up the good work.God bless you. thanks sowmia for your feedback and kind wishes. you can try using roasted semolina. if it is lightly roasted it is fine, but it should not be completely roasted. the texture of rava dosa is different when roasted rava is added. thanks harshada for the review as well as rating on rava dosa recipe. i am glad that you are finding the recipes explained well and easy to relate and understand. happy cooking. do comment whenever you have time or have a query. Tried the rava dosa recipe. Turned out really well. Step by step explanation was very helpful. Buttermilk really adds a nice taste to the dosa. Thank you Dassana. Welcome Nita. Glad to know that you liked this rava dosa recipe. Greetings Dassana Ji, Happy Season’s Greetings on Christmas Eve. Although we are not christian, it is impossible in western countries, especially USA not to get caught up in the festivities ! 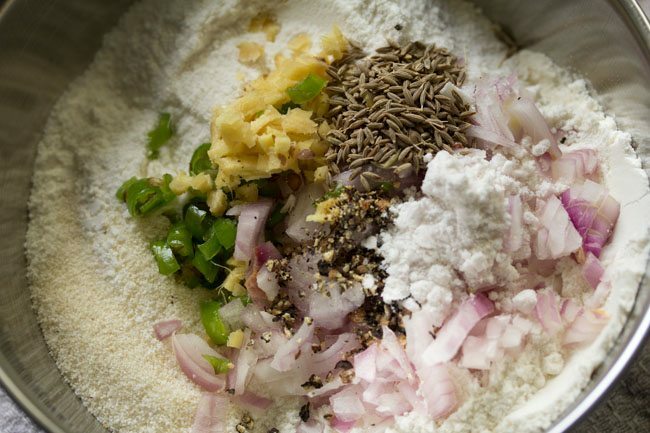 I tried your Rava Dosa, and put extra onions, cashew pieces, curry leaves and coriander leaves … and it came out a little lumpy – not your perfect spider web type – so I flipped it over, and heated it some more, and it tasted wonderful. [email protected]! I read through some of your comments on ‘seasoning the tava’. The problem, I think, is one of heat gradient and heat distribution. 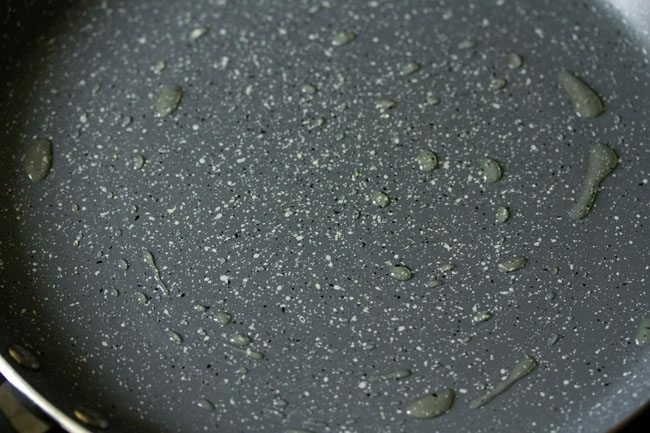 The ‘spot’ temperature on the upper (inside – ) layer of the tava has to be higher, than what a non=stick ( as in Teflon coated – ) tava will allow. Especially in the center of the tava, where the burner flame does not impact it directly, – the nonstick coating, being a fluoro-carbon plastic, provides too much of an insulation, and sets up a very high gradient, and prevents the tava from reaching the “crisping” temperature. Although I am not much of a cook, I have found that using a plain, solid, heavy, cast iron flat tava, without any coating, provides the temperature necessary for crsipiness. The ‘seasoning-of-the-tava’, that you refer to, is to heat a new tava, carefully (!) , with a tablespoon of oil, until it (almost – ) burns and then the oil turns into a plasticized coating, and almost chars, thus providing the pseudo-oily layer …. which will allow for a ‘higher’ temperature limit, thus allowing for crispiness, and yet not make the dough actually stick to the tava. This may take several attempts, and the tava, ofcourse, turns dark black. But this is unavoidable. On this cold and dreary day, with sunlight so sparse and rare, with dreadful temperatures outside, and the snow coming down relentlessly, only our hearts still remain warm …. and may I send you the warmest wishes, from our hearts, straight to your heart and to those of your loved ones. And to all other readers of this blog ! wish you and your wife a happy and a lovely new year. thanks for the feedback on rava dosa recipe. regarding seasoning tawa i had actually meant it for cast iron tawa. i can relate to what you are saying. its better not to eat such dosas. now i don’t use non stick pans at all. i only use cast iron pans and good quality steel pans. thanks again for the warm wishes. I will use a non-stick pan to cook the dosas. Do I need to oil the pan, or can I just bake them in the same way as ‘normal’ crispy dosas? for rava dosa, you can spread some oil on the pan as the batter is poured and not spread. if you want you can also skip spreading the oil. Tried this with packaged rice flour but the batter is sticking to the tawa even though I have a heavy bottom tabs and I brush it with oil. The batter sticks and burns. What else can I add to the batter? I tried your rava dosa with poha powder, that came out well. Please advise my batter is sitting in the fridge now. season the tawa. heat it and spread some oil. keep the flame to a medium or high and let the tawa get hot for 1 minute. lower the flame and then wipe this oil. spread another layer or oil and repeat the process. lower and then again wipe this layer of oil. now spread oil again. make a small dosa. see if it sticks or not. if it sticks then repeat the seasoning method for 1 or 2 times more. initially a few dosas in the beginning will stick, but later they won’t stick. for the tawa also, after rinsing it, wipe it dry and spread a layer of oil. before making dosas, heat and then remove the oil and then start making dosas. I am increasingly impressed by your recipes! Tried this instant rava dosa recipe today and I was over the moon! Loved the crispness and the taste. Pair d it with home grown Cuban oregano ( doddapatre) chutney… No more Udipi restaurant for Rava dosa at least! Kudos to you for your efforts!! thank you alice. nice to read your feedback on the recipe. one can easily make hotel style food at home and it costs less than what we shell out in restaurants.